A hunger strike by parents, teachers and graduates to protest the closure of five schools in the Ulyanovsk region has called attention to a broader problem: the shutting down of schools with low enrollments in ever more villages, a trend that Russia's demographic decline makes almost inevitable but one that is frightening many Russians. In Ulyanovsk, the protesters were able to save two low-enrollment schools, but officials there said the other three would have to close, as would an additional 18 schools elsewhere in the region. The situation in other predominantly Russian regions is even more dire: Tula officials plan to close 27 such village schools, and Ryazan leaders will shutter 84. 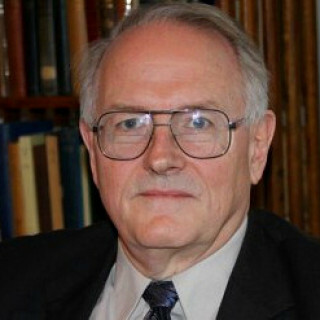 Paul Goble is a longtime specialist on ethnic and religious questions in Eurasia. Most recently, he was director of research and publications at the Azerbaijan Diplomatic Academy. Earlier, he served as vice dean for the social sciences and humanities at Audentes University in Tallinn and as a senior research associate at the EuroCollege of the University of Tartu in Estonia. As Russia's rural population has declined, officials have been closing or consolidating village schools, something that often accelerates the collapse of the villages they serve. But this year, Moscow has intensified the process by demanding that all local officials conduct an inventory of such schools by November 1 to determine their fate. Until recently, Regions.ru notes in a head note to a survey of Russian politicians about this development, "the closing of low-enrollment schools" had a greater impact on "numerically small" and widely dispersed non-Russian nationalities, but now, the agency says, this policy has "become a threat for all of Russia." "In essence," Regions.ru continues, the closing of small rural schools is "an extension of the program of liquidating villages" because without a school, the villages will die and the rural and provincial population will be forced to move to megalopolises, fundamentally changing the character of the Russian nation. Viewed at the most general level, the agency comments, what is taking place is "the internal decolonization of Russia; that is, the withdrawal from territories won over the course of its more than a thousand-year-long history," creating enormous "empty spaces" without "population and infrastructure" that others may fill. The parliamentarians with whom Regions.ru spoke were almost unanimous in their opposition to closing such low-enrollment schools, with some calling for Moscow to aid the regions to keep these institutions. Only a few said pupils would benefit from going to larger and better equipped schools. As it often does on such contentious issues, Regions.ru also surveyed religious leaders about the impact of the closure of small rural schools. If anything, they were even more against this trend than the politicians, seeing it as a threat to the survival of the Russian nation as such. The Orthodox priests with whom Regions.ru spoke said that the closure of such schools will not only lead to the end of the villages where they were located but undermine Russia's demographic future. Moreover, they suggested, the quality of education would likely fall given that rural teachers are often among the most committed. Two of the most outspokenly critical were Father Savva, the deputy chairman of the Moscow Patriarchate's department for work with the armed forces and law enforcement agencies, and Archmonk Platon, head of the department of youth affairs for the Ryazan eparchate. Father Saava said he saw in the liquidation of rural schools "evidence that Russian bureaucrats are not concerned about the problems of the ethnic Russian population." They worry about other nationalities, but they seldom focus on "the tragedy" that the Russian people are currently experiencing. And Archmonk Platon said the policy of school closures and consolidation would contribute to the demographic and political decline of the country and represented "a shame for the so-called state policy of the country. Such measures," he continued, "will lead to the destruction of our entire state as a whole." Indeed, Platon continued, "if throughout the entire country will be continued such a shameful policy, then as a result, the Russian Federation will turn out to be where the country was in the 14th century — at the level of the Muscovite Principality! We will not have a Far East or Siberia or the Caucasus or other regions because all, except the Center will be taken from us."